Bryan Szweda resides in Arizona where he is a family man, businessman, bodybuilder, and health and fitness enthusiast. Throughout his professional career, Bryan Szweda has been recognized as a global leader in the business world. He is an experienced coach and mentor using Lean and Six Sigma programs including Six Sigma Black Belt Training. Through professional development, Bryan Szweda completed Harvard Business School Leadership Training and speaks at multiple conferences discussing global business. Before establishing his professional career in business, Bryan Szweda earned his A.A.S in Medical Laboratory Technology at SUNY Alfred State in Alfred, New York. He then went on to attend SUNY Empire State College in Buffalo, NY earning his Bachelor of Science Degree in Technical Management. Beyond professional life, Bryan Szweda dedicates his time to his family and maintaining health and physical fitness. Bryan has also volunteered his time as a youth soccer coach with the Plymouth Soccer Association as well as the Wayzata Boys Basketball Association. In recent years, Bryan Szweda has become passionate about health and fitness. In the spring of 2013 he decided he needed to make some changes to feel happier and healthier and to live an overall greater lifestyle. Bryan was introduced to the Life Time 90-Day Challenge. The 90-Day Challenge is a bi-annual event hosted by Life Time for its members. It is ninety days in which you commit to creating a healthier you! You can participate in either the ‘Weight Loss’ or ‘Transformation’ category. Bryan entered in the transformation category and won the overallclub level and was one of the top 5 finalists judged by a panel at the corporate level. Read his transformation personal essay here: http://bryanszweda.com/90-day-challenge. During the challenge, Bryan Szweda learned a lot about how to match his diet with a challenging and effective workout plan. 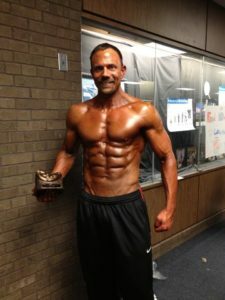 At the end of the 90 days, Bryan Szweda was thrilled with his results which motivated him to enter several natural bodybuilding competitions as well as encourage his family to develop healthier habits together. Bryan has helped his wife, son and many friends develop diet and exercise programs that work best for them. He loves being able to work out with his son and they share similar passions of gaining strength, confidence, and endurance.